Every charity needs to show their accounts and the animal welfare Institute of New Zealand, formed 5.12.200 is no exception except its accounts went up on the charities web site in December with a annotation along side saying restricted. Over the weekend they finally materialized. No real reason to see them withheld except for the fact that I know that I have paid well over $100,000 into what was claimed to be their coffers but which now appears to have gone somewhere else. Apparently Mr Wells had asked for the accounts to be withheld. On 6 December 2010 the Court of Appeal struck out an application by Haden to appeal the High Court decision. Costs and interest awarded to AWINZ have yet to be finally fixed . This statement is false in many ways and shows that the deception and corruption In Waitakere are still on going and shows that we do not have the staff with the necessary ability or ethics to deal with such corruption in either councils or Government department. I must say to be fair that if some one was to do the right thing they would probably find themselves out of a job, corruption in New Zealand is that big. Corruption like this is actively concealed . The $57,500 was awarded in favour of Neil Wells only from litigation which did not involve the charity , or its trustees in their capacity of trustees of this charity . Neil Wells was the only person who could profit from the prosecution which misled the court as to who or what AWINZ was and treated AWINZ as though it was a legal person in its own right when this was not the case. It is untrue to say Costs and interest awarded to AWINZ have yet to be finally fixed . The charitable trust were not party to the litigation they allowed their charitable funds to be used for personal gain of one trustee which follows the fact that I have evidence that in Waitakere City he used public resources for private pecuniary gain .. so why would he not use charitable funds for private gain ? Not only have the costs been fixed they have calculated the interest and collected nearly $111,000 a further $30,000 is held in trust and they have a statutory demand for $70,000 which includes the sum held in trust . These claims have not been made in the name of the trust and have been made by Wells alone and not as trustee of AWINZ in fact I cannot recall any of the court documents for liquidation or bankruptcy referring to AWINZ or trust or trustee. . The high court matters were not against the trust they were against the individual persons and not the charity . The trust set up 5.12 .2006 became a charity. It did not exist when litigation commenced. The trustees of the 2000 trust had such little knowledge of the approved status ( law enforcement status) that it had to be explained to them at their one and only meeting which occurred 6 years after the deed was signed and without any evidence of the trustees being re appointed. after three years which is a requirement of the deed. Neither of these two trusts were the litigants in the court case. Although some of the trustees were litigants there has never been any proof that they were together trustees at the time as litigation commenced and they had no evidence that they had any legla capacity to act together as trustees prior to 5/12/2006 or together had responsibilities to the deed prior to 2/12/2006 and from that date they could only act with one other. Wells commenced liquidation proceedings on Verisure 22 December 2011 by attaching a statutory demand to my Christmas wreath. He had told MAF in September that he was going to bankrupt me. He was paid out some $91,000 in mid June 2012 this sum does not show in the accounts he appears to have used charitable funds for self-enrichment but no one appears to care. I was besieged by demands $7,090.48 demanded 21 June 2012 payable the next day , $17.244.26 demanded 21 June 2012 payable the next day, $23091.47 demanded 21 June 2012 payable the next day, a total of some 47426.21, to be found over night . They succeeded in putting my company into liquidation when they failed to serve document on me, they were caught out and the liquidation was reversed. This all occurred while I had proceedings before the court to set the judgement aside because it had been obtained by fraud. They also attempted to bankrupt me but the court allowed the money to stay in a trust account while the setting aside of the judgement is considered. He succeeded in releasing most of this money through the liquidation proceedings. What the charities commission have done by allowing this matter to stand is to condone litigants for setting up a charitable trust so that litigation can be funded from charitable funds. It opens the door to more corruption in New Zealand simply because many investigators dont understand the legal requirements of Trust . The chronology speaks volumes any other interpretation of fact defies logic anc common sense. ther is no law or statute which supports any way that this chronology is invalid. 22/12/1999 application for approved status Neil wells tells minister of agriculture that AWINZ will be legally incorporated. Neil Wells lied in court on this point he said that the application had been made after the trust existed. This threw a spanner in the works for Wells and he now had to cover up the fact that the law enforcement authority did not exist. 10.5.2006 the only recorded meeting of the trust 1.3.2000 which by its trust deed should meet no less than 4x per year , trustees said they had not met they did not even meet to sign the deed.! Wyn Hoadley becomes trustee by invisible means. 25 May 2006 Hoadley and Wells see lawyers to have the incorporated trust removed from the register. As proof of their existence they send a copy of the trust deed 1.3.200 for which trustees have resigned. 18.7.2006 despite being told by the registrar of incorporated societies to challenge the registration in the high court they decide to use the district court for intimidation and thereby get a quick way to force the name to be given up. 5.12.2006 After trying to get charitable status Wells is forced into a position where by he needs a new and current deed as the old deed does not qualify so with half the original trustees he changed the purpose of the trust and writes in clauses which allow the funds he has to be used for the litigation . 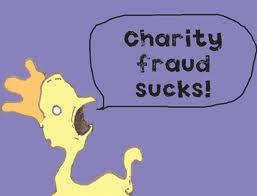 Its identity fraud 101 and just because they all share a name it does not mean that they are all the same. All you need in New Zealand to commit charity fraud is a law degree standing as a barrister and the charities commission will like MAF accept any BS you put their way. Every day people are locked up for minor matter but slick words manipulation of words and confusion allow you to get away with crime. I am continually surprised at the lengths that Government departments and the Council have gone to condone this corruption shows that Corruption is not just condoned in New Zealand it is concealed. See the Mayor of Auckland brush off the ” historic” Corruption of Neil Wells , he does so unilaterally and without allegedly knowing the facts Len Brown acts as judge and jury. http://www.allaboutauckland.com/video/1907/accusations-of-corruption-within-councils/1 you will need to log in it is free.